Straight from the tree. 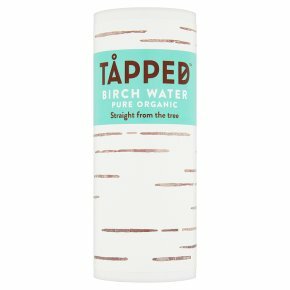 Organic birch water. Only 8 calories. Not from concentrate. All natural ingredients. No added sugar - contains naturally occurring sugars.Delicately sweet, tree-tapped water flowing with nature's nutrients Filtered by Nature In winter birch trees store vital minerals and vitamins in their roots In spring water is filtered up through the trunk, nourishing the tree Then we tap the trees, so every drop we harvest is full of natural goodness Manganese supports the protection of cells from oxidative stress.